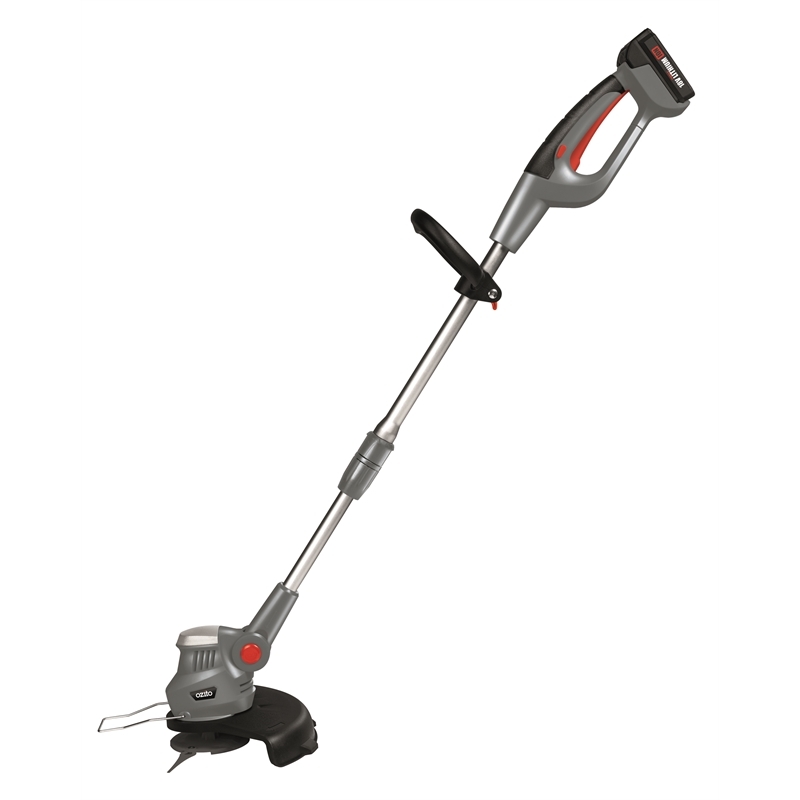 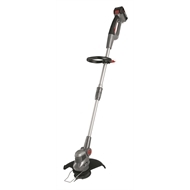 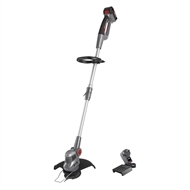 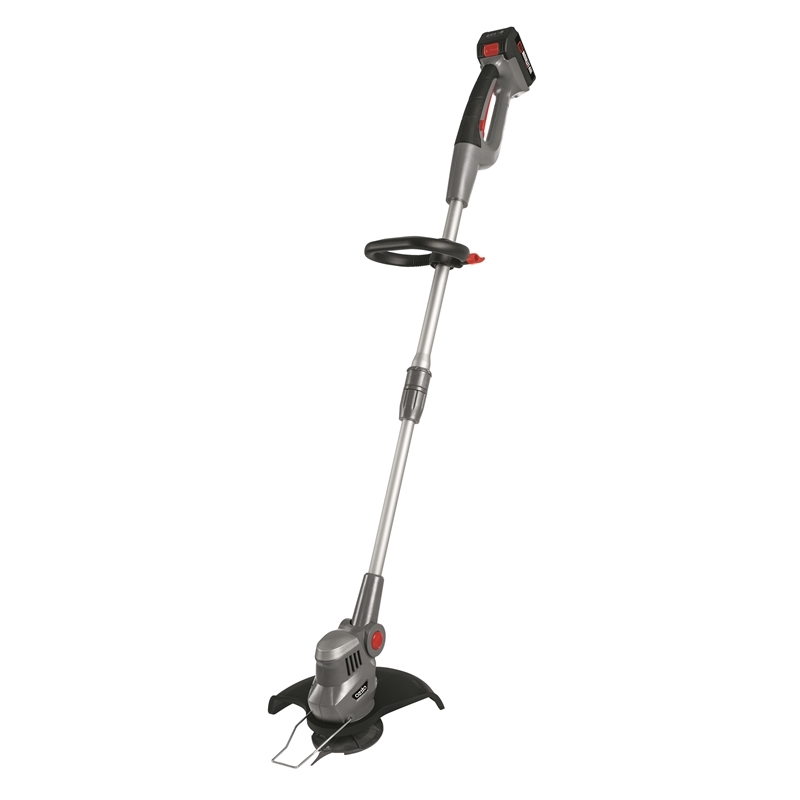 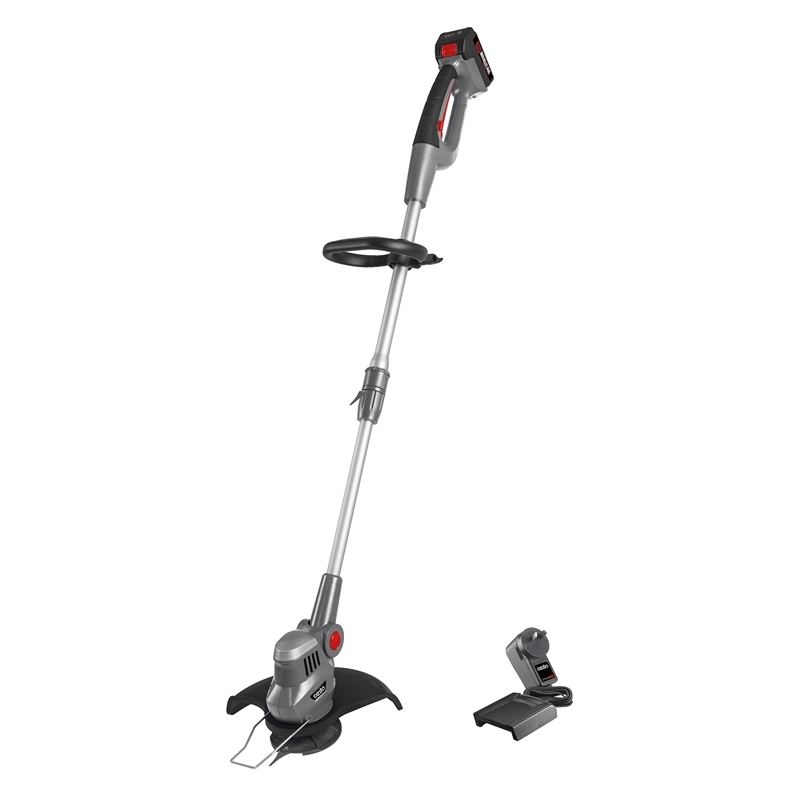 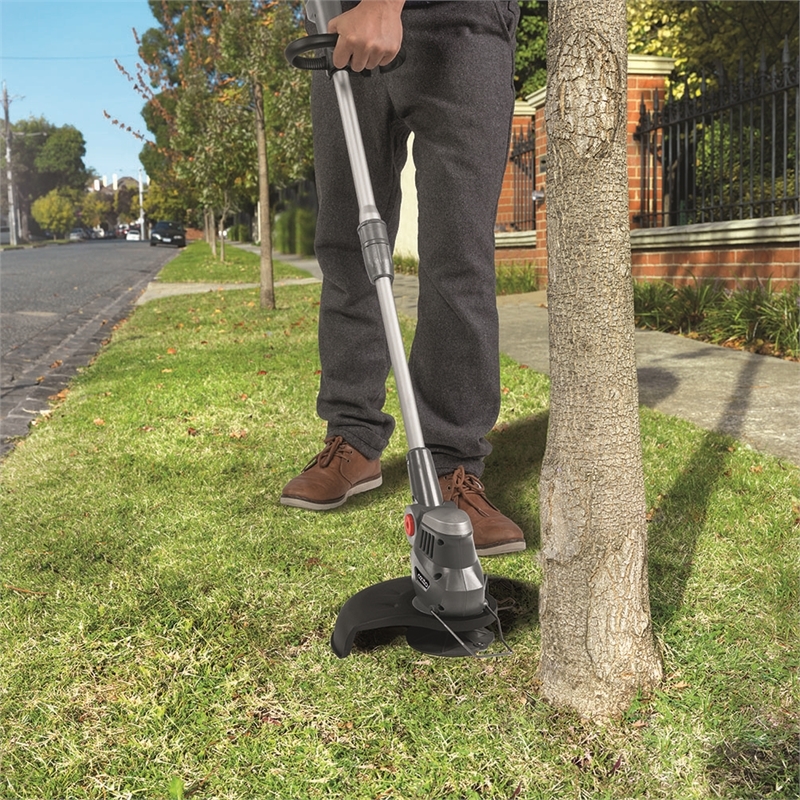 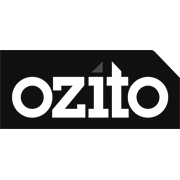 The Ozito 250mm 18V Cordless Grass Trimmer Kit is ideal for trimming lawn edges, garden paths and grass around trees and shrubs. 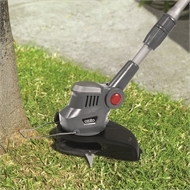 The dual cutting blades deliver hassle free operation and allow simple changeover. An adjustable cutting head allows easy trimming under low hanging shrubs and trees, while the telescopic shaft can be adjusted to suit the height of the operator for improved ergonomics.